Welcome and thank you for choosing RE/MAX First Choice Realty Ltd. Brokerage. RE/MAX (Real Estate Maximums) was started by Dave Liniger in 1973. His dream was to create a company where homebuyers and sellers could walk into any office in any market, confident they would receive the level of professional service that a transaction of such magnitude demands. Since then, RE/MAX has been building on that dream and has become the most productive organization the industry has seen. There are literally thousands of RE/MAX offices across the globe. Our local office, RE/MAX First Choice Realty Ltd., was started in 1991 by Mario Tegola, an experienced real estate professional. With its main office in Thunder Bay, Ontario, RE/MAX First Choice services Thunder Bay and surrounding areas including Fort Frances, Rainy River Dist., Nipigon/Red Rock, Schrieber, Terrace Bay and Marathon. 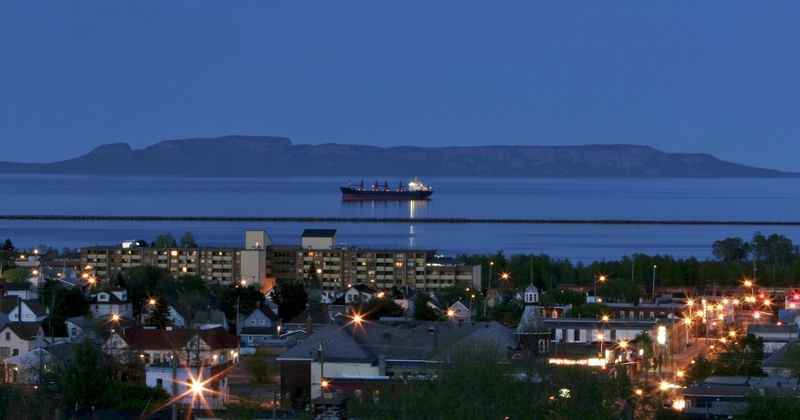 Beautiful Thunder Bay is located in Ontario, Canada on the North-Western corner of Lake Superior. Rich with history and cultural diversity, Thunder Bay is home to many famous tourist attractions, such as the Sleeping Giant and the Terry Fox monument. Thunder Bay was also host to the World during the 1995 Nordic World Ski Championships. Copyright © 1998 RE/MAX First Choice Realty Ltd. All rights reserved.